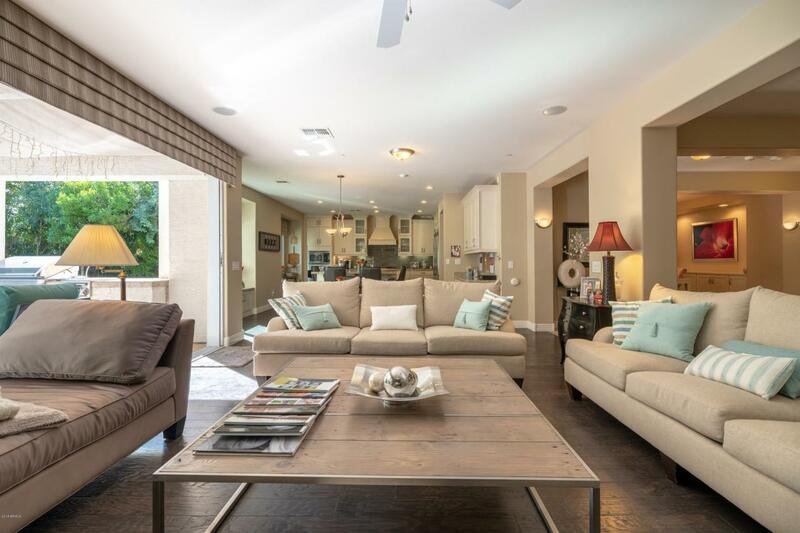 Gorgeous, builder model home in popular Arcadia area gated community! 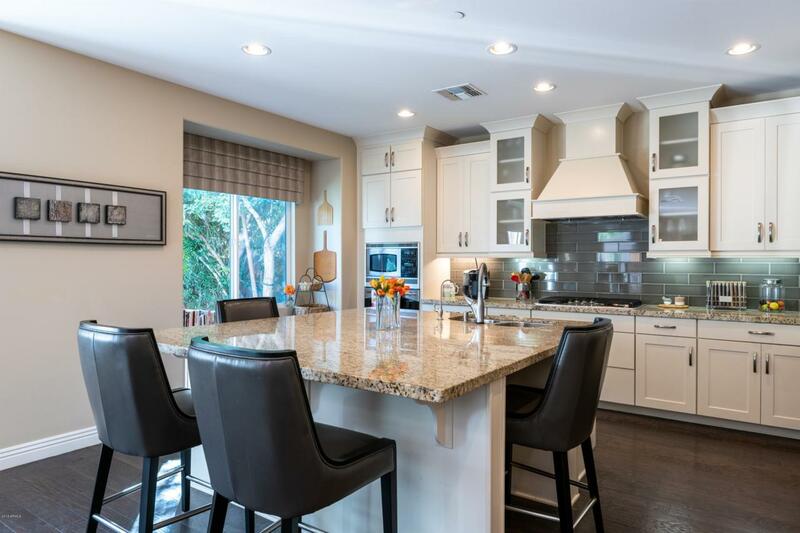 Gourmet chef kitchen sports large island with breakfast bar, granite countertops, Restoration Hardware-style stacked cabinets, gas cooktop and high-end stainless steel appliances. Wood & travertine flooring, box window seats & entertainment bar with wine fridge. 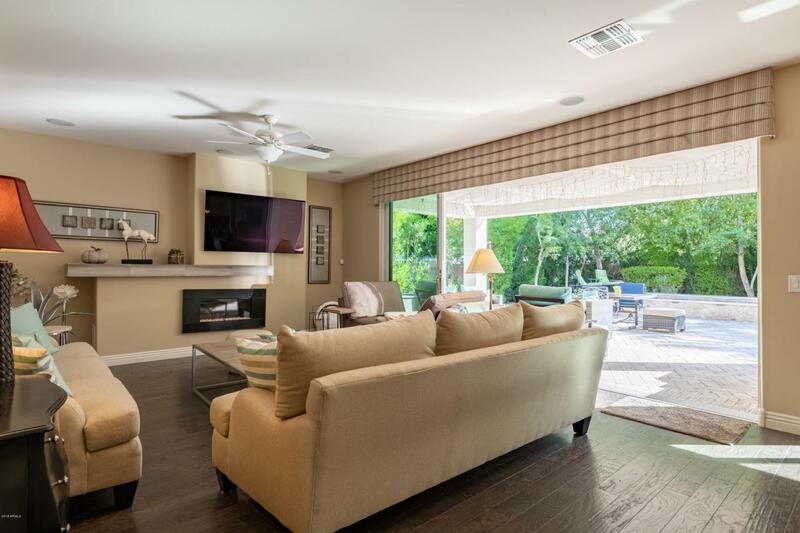 Fully retractable sliding glass door leading from family room/kitchen to gorgeous backyard. 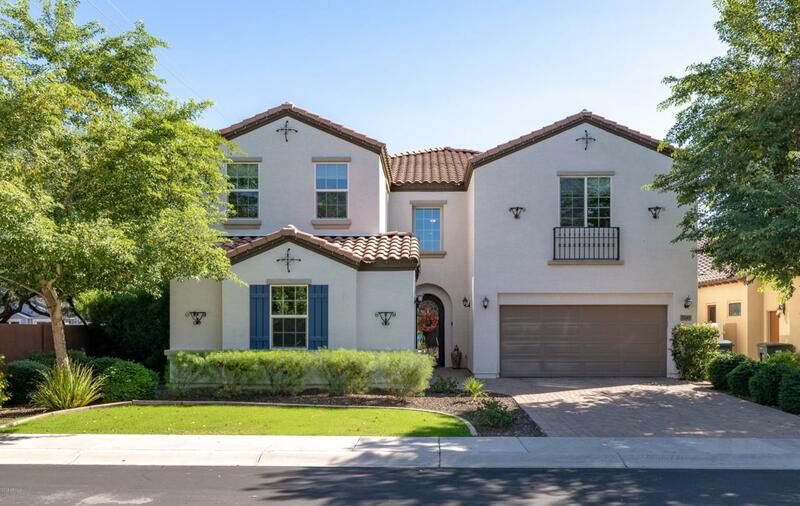 Professionally landscaped front & back, built-in BBQ, huge covered patio, solar heated pool/spa combo with water feature, gas fire pit & travertine sun deck. Spectacular master suite with three customized walk-in closets, walk-in shower, separate tub & double sinks. 2 car garage with Tesla/EV charging receptacle & 1 car garage with built-in workshop. This is a must see! !